Halloween.... one of the holidays where I feel ALLLLLL the pressure to live up to the year before. I always put so much effort into my costumes, so I need to outdo, or at least live up to, the year before. 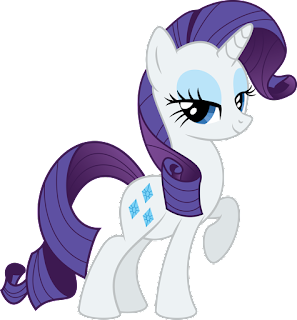 This year I decided to be Rarity, from My Little Pony. When I was searching for things with purple hair, there weren't many options, but I knew this one could be fun to play with when it came to my make-up and hair. It was. 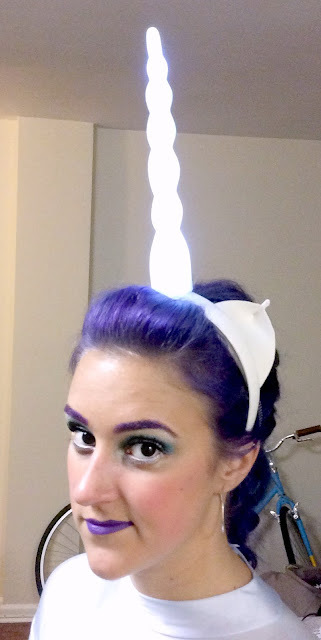 -the light up unicorn horn, or "light up dildohead," as it became, was a random lucky find from Target. I had to super glue it to a headband so it didn't always fall over. 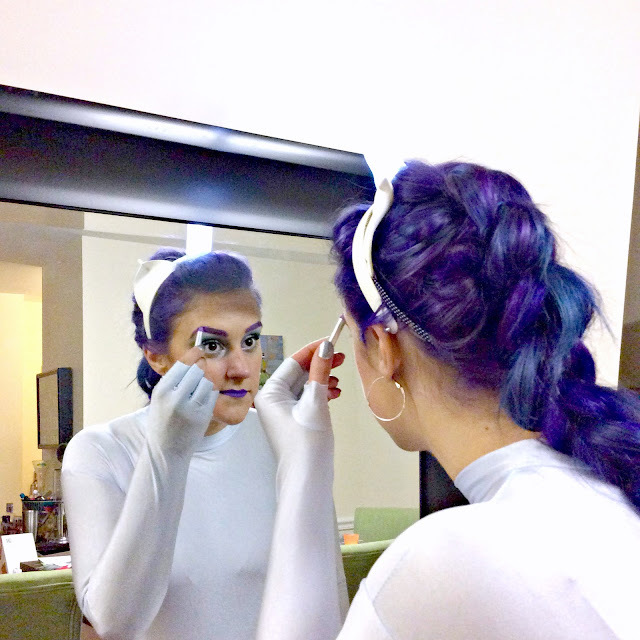 -a tail made of cheap purple yarn, hot glued onto the bodysuit finished the outfit! I was probably MOST excited to do the hair. 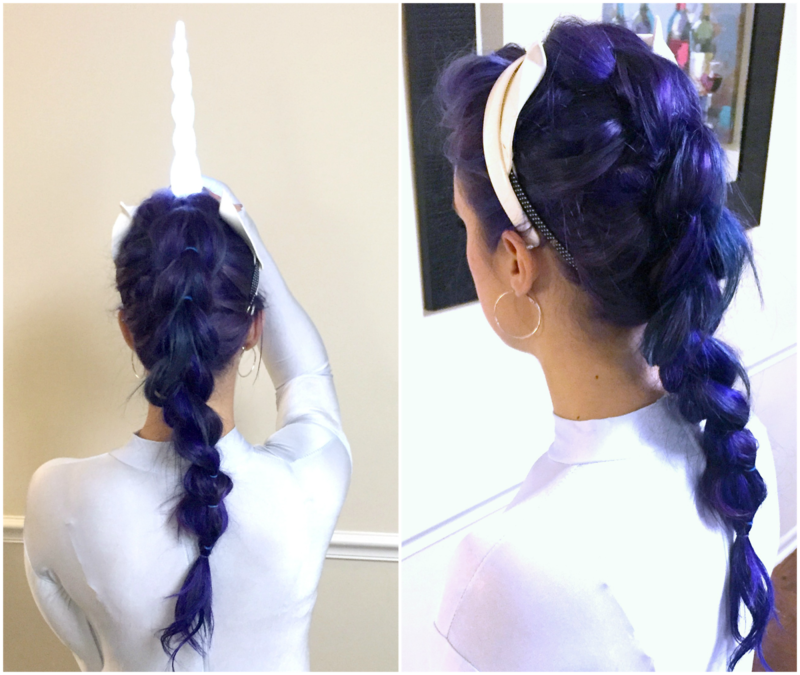 I bought some good blonde extensions and had Ruby dye them to match my hair, then found this tutorial for a "pull through braid" and somehow pulled it off. It's a little sloppier than I'd like but all the layers in my cut will do that. I also did it without a mirror, so, there's that. -Urban Decay was all over my eyes. I used a white pencil underneath to try and make them look bigger, and a bright blue and white on my eyelids. 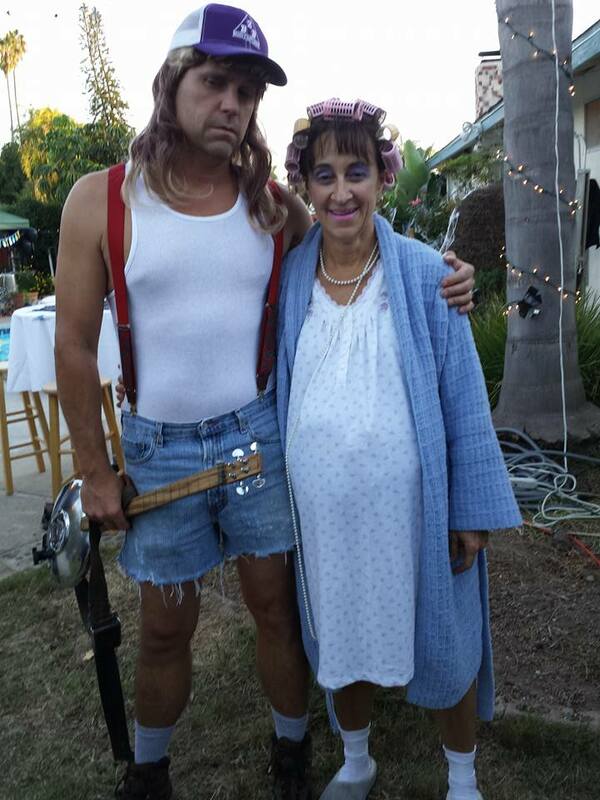 Also, my parents are pretty great at Halloween. I mean, JUST LOOK AT THEM RIGHT NOW. So here's to another successful year of being something else for a night! Send me your costumes, I'll throw up a post of them later!